Between the months of June and November, Pacific Princess spends her time cruising the iconic ports of Europe. Pacific Princess has a number of fantastic itineraries exploring the British Isles including a number of itineraries with the option of attending a Military Tattoo. Cruise from Dover to visit the awe-inspiring ports of Northern Europe including Greenland and Iceland. Or, cruise the Mediterranean over 12 nights from Rome or Venice during the cooler months of late October and early November. 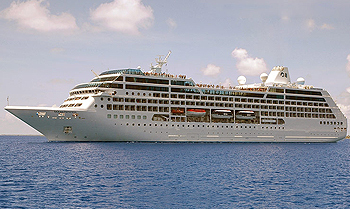 When not cruising in Europe, Pacific Princess makes her way around the world. Embark on one of her World Voyages or for a shorter journey, choose one of her world voyage segments. Discover the wonder of the Panama Canal up close, the benefit of cruising aboard a smaller ship. Explore the islands of the South Pacific as she makes her way from Los Angeles, to Sydney, and then on to Cape Town. Or sail across the Atlantic from Europe to the US or vice versa, with some itineraries allowing you to sail into the Arctic Circle. 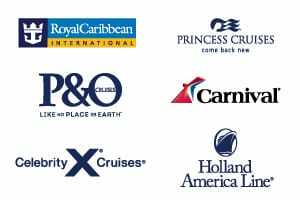 If you’re looking to cruise on the Pacific Princess but would prefer either your embarkation or debarkation point to be in Australia, have a look at cruises arriving in Sydney, or cruises leaving from Sydney. 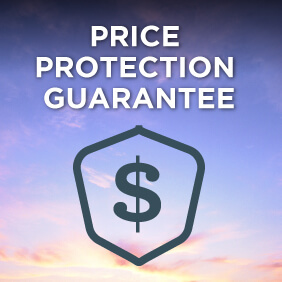 View all Pacific Princess cruises, view a selection of Princess cruise deals, or view more options for Princess cruises. We bring talented performers from Las Vegas to Broadway and even London’s West End to entertain guests with colorful musical revues, blending popular tunes and lively dance routines. A tantalizing selection of favorites await on Pacific Princess‘ Panorama Buffet. Wake up to all your breakfast favorites from fresh eggs, bacon and sausage to cereal and fresh fruit. At lunch and dinner, the buffet selections include a carving station, hot entrees, salads, veggie selections, and desserts. For late night cravings, the Panorama Buffet becomes a Bistro, and serves an array of sandwiches and snacks.